Here are the dates for our 2016 painting and pastel courses in Catus. Weekend short course in portraiture: 19th and 20th of march. 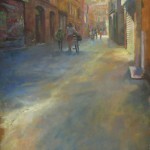 Summer pastel course, 5 days from the 11th to the 15th of July. 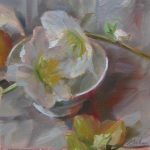 In my art courses I hope very much to give people ideas to continue painting on their own and to encourage them to find their individual artistic styles. Although most of my students are usually French, I often have English speakers too and this isn’t problematic. If you would like help finding a place to stay, please let us know.